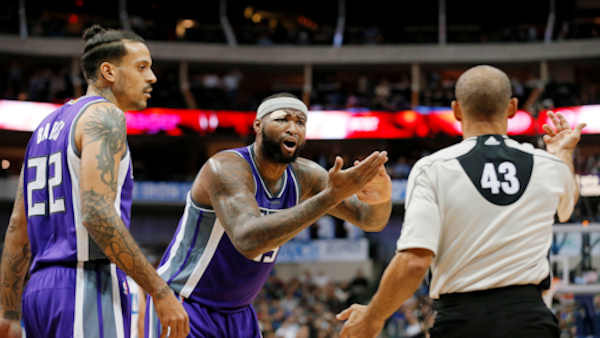 CHELSEA, Manhattan -- Matt Barnes and DeMarcus Cousins of the NBA's Sacramento Kings are being sued after a nightclub altercation. The federal lawsuit filed Wednesday says a New York couple was attacked Monday at a nightclub in Manhattan's Chelsea neighborhood. The lawsuit seeks unspecified damages. It says Barnes choked a 26-year-old woman by the neck and her date intervened. It adds Cousins punched the man and Barnes knocked the woman unconscious with his elbow. The lawsuit says Barnes and Cousins then punched and kicked the man. The couple was taken to a hospital. No one was arrested. In an Instagram post Monday, Barnes said there are "always two sides to a story." A lawyer for both players says he doesn't believe a crime was committed though the players are cooperating with police.